2019 Venture RV Sonic SN231VRK - For Sale in Gambrills, MD. 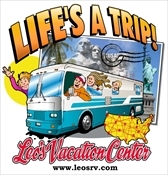 Looking for a couples travel trailer with extra sleeping space for the grandkids? Do you prefer to have a private bedroom when you travel? Just imagine cooking for your visitors and providing them sleeping space on the U-shaped dinette and jiffy sofa like you would at home. The convenient walk-through bathroom allows access from the main area as well as the bedroom. You can retire to your own private bedroom in the front which includes plenty of storage for a weekend or longer stay. Plus you will have access to the pass-through compartment outside for those larger camping items like fishing poles, a bag of charcoal, and your outdoor mat. Take a look today at this Sonic model to find even more features you will want in your next RV. With any Sonic travel trailer by Venture RV you will appreciate the NXG frame providing a strong and lightweight foundation, and the one-piece fiberglass roof system which adds low-maintenance strength. Once at your destination the exclusive to Venture RV LevelMatePRO offers leveling simplified, on the first try! Inside, you will find plenty comforts of home, plus Tufted dinette cushions, a Safe-Tek box with USB charger, and prewiring for solar and a backup camera. Choose your favorite layout, and start exploring tomorrow!